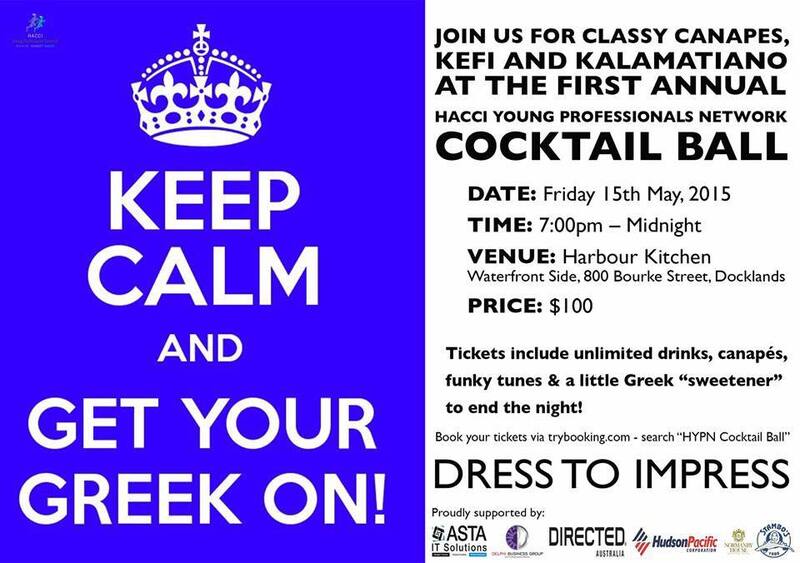 The Hellenic Australian Chamber of Commerce and Industry of Victoria(HACCI) Young Professionals Network (HYPN) will have Greek Cocktail Party on 15th May 2015 at Harbour Kitchen Docklands Melbourne. DJ Skuba Steve will be mixing some great tunes all night. Strictly no door sales! Book now to avoid disappointment.